There are certain “must-have” fashion garments and accessories that every man should own. If you have trouble putting together a stylish look, you should reevaluate your wardrobe to ensure that it has the following staples. 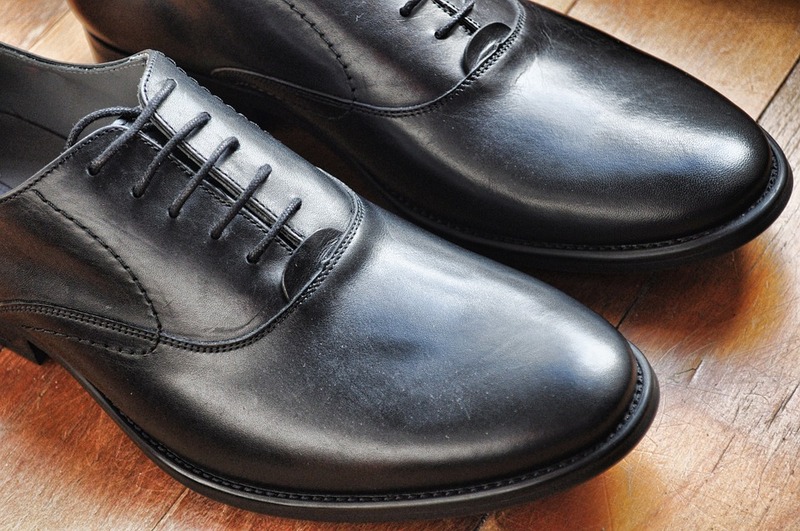 There’s no better choice for formal footwear than a pair of classic black leather oxfords. As shown above, they are simple, sophisticated, and visually appealing. And because they are black, you can wear them with just about any suit or formal outfit, assuming it doesn’t feature brown. This makes black oxfords a must-have staple for every man’s wardrobe. When you want to achieve a look that’s not too formal but not too casual, chinos are the answer. Not to be confused with traditional khakis, chinos are made of a lighter 100% cotton or cotton-polyester blend with a slimmer fit. A classic look is to pair chinos with a button-up dress shirt and tie. Or if you want to go a bit more formal, wear a blazer over your shirt. The versatility alone makes chinos well worth the investment. Of course, we can’t talk about must-have fashion items for men without mentioning dark indigo-colored denim jeans. Some men assume that jeans are only useful when worn for casual occasions, but this statement couldn’t be further from the truth. Whether you are running errands, going out to eat, or even attending business meetings, you can usually wear indigo jeans. Indigo has a slightly more formal appearance than light and/or faded jeans, making them an excellent addition to any man’s wardrobe. Why should own a blazer? Well, they are considered less formal than traditional sports coats and jackets, meaning they can worn for more occasions. A good blazer will allow you turn to instantly turn an otherwise dull outfit into a more vibrant and sophisticated look, while still offering a classic touch that’s easy on the eyes. Consider picking up a black blazer and adding to your wardrobe. The old days of wearing t-shirts with corporate logos and tacky phrases are long gone (thankfully). Unless you’re a high school or college student, it’s generally best to avoid these styles of t-shirts. For a more “grown-up” appearance, stick with high-quality, solid-color t-shirts that match the rest of your outfit. The great thing about solid-color tees is that you can mix and match them your existing garments, creating new looks in the process. Wearing the right accessories can enhance the appearance of your suit, creating a cleaner, more sophisticated look. So, what are some of the top accessories to wear with a suit? We talked about this in a previous blog post, but in case you missed it the pocket square is a simple yet meaningful addition to a suit. Also known as a pocket handkerchief, it’s a small piece of fabric that’s folded and placed into the breast pocket of a suit jacket. The purpose of a pocket square is to compliment the suit with the addition of new colors, making it in invaluable accessory for formal men’s wear. We can’t talk about suit accessories without mentioning cuff links. Available in a wide variety of materials, ranging from metal and stone to leather and glass, cuff links are designed to secure the button cuffs of a dress shirt. Granted, some dress shirts already have built-in buttons, but others do not. If your dress shirt does NOT have built-in buttons, you’ll want to pick up a pair of cuff links for this very reason. 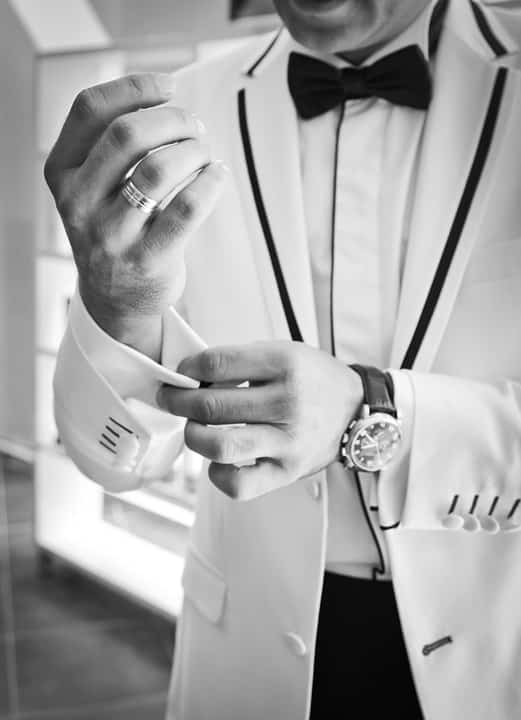 Don’t forget the watch when planning your formal suit attire, as it helps to “complete” your look by adding a visual element to your wrist. There are literally thousands of different watches from which to choose, ranging in terms of mechanical functional, band material, size, crystal and more. A good rule of thumb, however, is to stick with a traditional brown leather men’s wristwatch if you plan on wearing brown shoes. If you plan on wearing black shoes, you should wear either a black leather or chrome-metal wristwatch. A lesser-known suit accessory is a tie bar, which is designed to secure your necktie to your shirt so it doesn’t swing around. The front of the tie bar is attached to the necktie, and the rear clip is secured to the shirt. Once in place, it will keep your necktie secured, allowing for a cleaner and more formal appearance. Allowing your necktie to swing around isn’t exactly proper suit etiquette, which is why many men choose to wear a tie bar. It’s a small, simple accessory that offers benefits in terms of both function and style. These are just a few of the best accessories to wear with a suit. So, which accessories do you normally wear with a suit? The necktie is arguably the single most important accessory in men’s formal wear. It brings all of the colors and designs of the outfit together to create an attractive appearance. But there’s a right way and a wrong way to wear a necktie. So if you’re struggling to master the art of the necktie, check out these unwritten rules listed below. If you plan on wearing a suit jacket or coat with lapels, you should position your necktie so that the widest portion matches the width of the widest portion of your lapels. The folks at BusinessInsider have published a helpful ingrographic to show this. As you can see, the widest part of the necktie is parallel to the widest part of the lapels, creating a clean, even look. Think there’s only way to tie a necktie? Think again. There are literally more than a dozen different ways to tie them, each of which has its own unique characteristics. 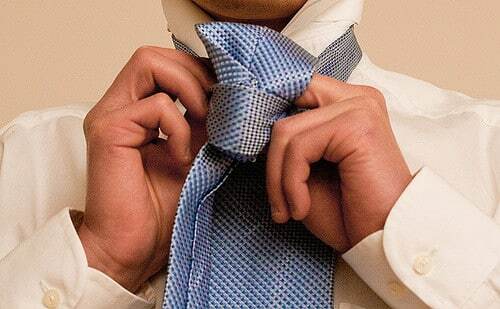 The Four-in-Hand knot, for instance, is the easiest to tie, although some men prefer other knots because of its uneven appearance. The Half-Windsor is a popular alternative. It’s a bit more technical to achieve, but unlike the Four-in-Hand, it creates an even knot in which both sides are equal. You should also consider the width of your necktie. A good rule of thumb is to stick with a necktie that’s between 3 and 3.75″ wide. The old days of pencil-slim skinny neckties are gone, with 3 to 3.75″ width becoming the de-facto standard. Consider the other clothes that you’ll be wearing and how they will flow with your necktie. If you plan on wearing a navy blue dress shirt, for instance, it’s best to avoid a brown necktie. Instead, choose a color for your necktie that’s going to match with the rest of your outfit. You can choose a necktie in a color that’s darker than your dress shirt (e.g. a navy necktie with a light blue shirt), or you can choose a completely different color, assuming it matches. One of the most common mistakes men make with their neckties is wearing them too long. Ideally, the bottom of the necktie should rest at the very top of your belt when you stand. If it protrudes just slightly past, that’s okay. But your necktie goes beyond your belt and down to your crotch, it’s too long and needs to be readjusted. Ever go to grab your favorite dress shirt from the closet, only to realize that the collar is curled or creased upwards? Sure you have; we all have. Unfortunately, it’s difficult to achieve a clean, well-groomed look when your dress shirt suffers from this. Creased collars are a big no-no and should be avoided at all costs. But how do you protect your shirt collars and prevent this phenomenon from occurring? Premium dress shirts are naturally more resistant to wrinkles and creasing than cheap, poorly made dress shirts. Because they are made with higher quality fabric — and thicker fabric — there’s less risk of the collars creasing. So if you’re in the market for a new dress shirt, focus on quality over quantity. A single high-end dress shirt will prove far more useful than three or even four low-quality shirts. Washing machines may also cause shirt collars to curl or crease, as the back-and-forth rotating of the drum stretches the fabric. Ideally, you should have your dress shirts dry-cleaned to prevent this from happening. But if dry-cleaning isn’t an option, you can typically wash them on the gentle cycle. Just remember to read the care label beforehand to ensure that machine washing is acceptable. 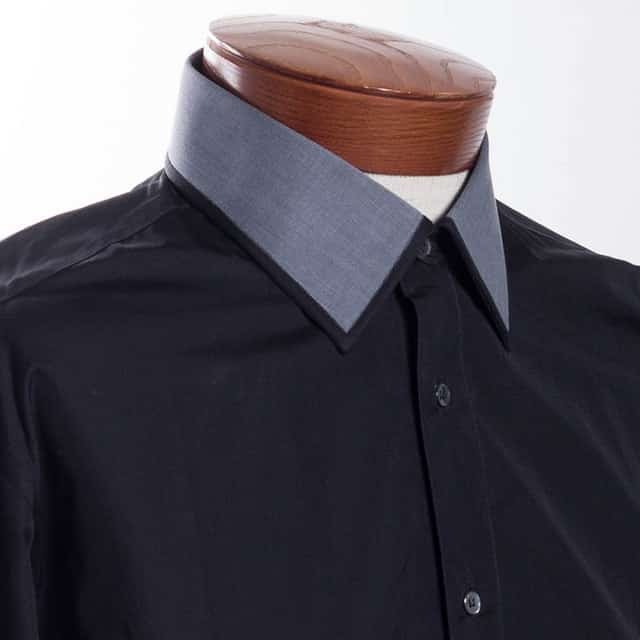 When you are finished washing your dress shirt, try ironing out any creases in the collar. Most men automatically hang their dress shirts after washing and drying. In doing so, this leaves the collar creased, allowing it to form this shape over time. Taking a couple minutes to iron the collar before hanging it can protect against creasing and curling. If you aren’t using collar stays on your dress shirts, you are missing out on one of the easiest ways to keep the collars straight. Featuring a small, narrow and thin piece of material, they are placed inside the collars to hold them in place. Most dress shirts are designed with hollow areas underneath the collar for this very reason. You slide the collar stays into each side of the collar, securing them in place. There are several different kinds of collar stays, and it’s important to use the right ones. Plastic collar stays are meant to be a temporary solution, as ironing over them may cause them to melt (you don’t want melted plastic on your shirt). Metal collar stays, on the other hand, can last for years and years, assuming you don’t lose them in the washing machine or dryer. Razor bumps, also known as Pseudofolliculitis barbae in the medical community, is an all-too-common occurrence experienced by men of all ages. Some reports indicate that as many as 30% of all men suffer from razor bumps. It’s characterized by the formation of small pimple-like bumps on the neck, chin and cheeks. While razor bumps are generally harmless, they can affect your confidence and self-image, which is why it’s important to prevent them from developing in the first place. It’s a common assumption that razor bumps are an infection, but this isn’t necessarily true. These unsightly patches of red bumps are actually caused by ingrown hairs that irritate the skin. Granted, razor bumps may lead to an infection, although this isn’t the underlying cause. Hair follicles that begin to grow sideways instead of straight out cause redness, inflammation and irritation, which are the defining characteristics of razor bumps. When you shave, you aren’t removing the entire hair follicles. Instead, you are trimming away the upper part while leaving behind the bottom part. Normally, the remaining portion of the hair follicles will grow straight up, causing no redness or irritation. But there are times when hair follicles will grow sideways or inwards, resulting in the condition known as razor bumps. There are several different steps you can take to prevent razor bumps. For starters, use light-to-moderate pressure when shaving, not heavy pressure. Some men believe that a close shave will create a cleaner look, so they press down firmly on the razor. But this ultimately increases the risk of razor bumps, as hair follicles are often cut underneath the skin and instead on the surface of the skin. According to Wikipedia, men can reduce their risk of razor bumps by maintaining .5 and 1 mm length facial hair. 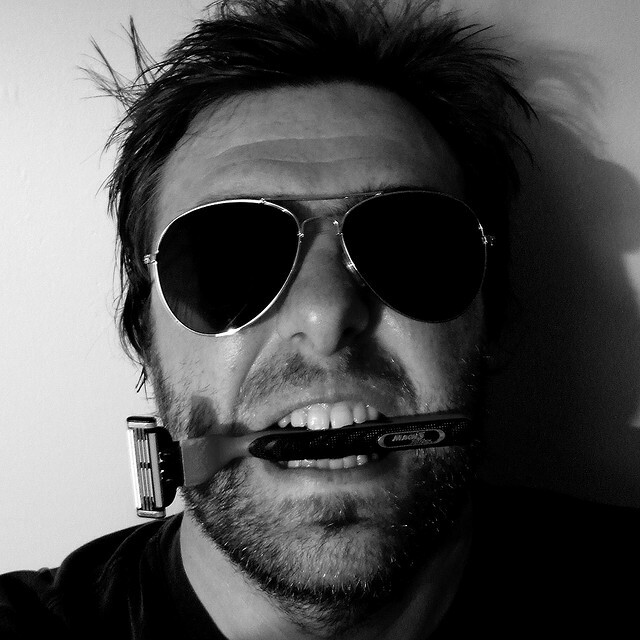 You should also get into the habit of changing your razor on a regular basis. I think we’ve all been guilty of using the same razor for days or even weeks on end. Over time, razors will begin to dull, making this less effective at cutting hair. And when a razor doesn’t cut facial hair all the way, it may actually push the hair back into the pore, leading to razor bumps. A sharp and clean razor, combined with a nice lather of shaving cream, will greatly reduce your risk of razor bumps.